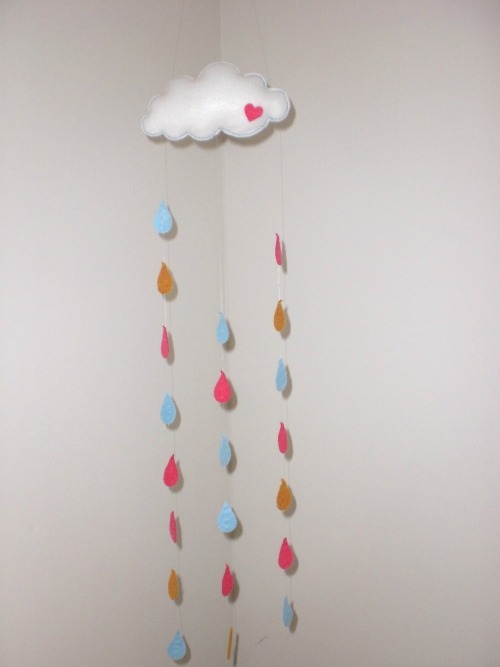 It was a rainy day Friday, plus my day off . . And while browsing through Pinterest I spotted this adorable mobile and just had to create one for myself! So I began with tracing a cloud shape I found on google images. 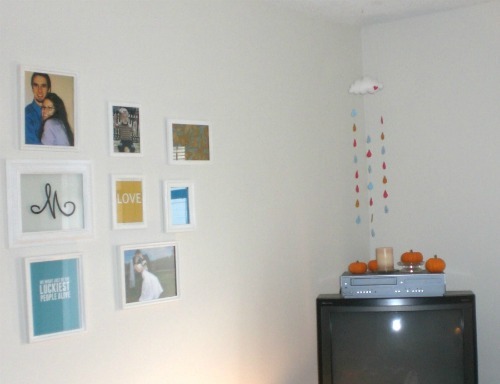 (I don't like printing out my shapes and images just for cutting out and using as stencils, so I just enlarge the photo on my computer screen to the size I like and place a white piece of paper on my screen and LIGHTLY trace the shape.) Then I cut out the cloud, pinned to the felt and traced and cut out two clouds. Then I hand sewed the clouds together, leaving a small opening for filling with stuffing. And sewed it shut. I cut out a tiny pink heart and hot glued it to the cloud-- isn't it darling? 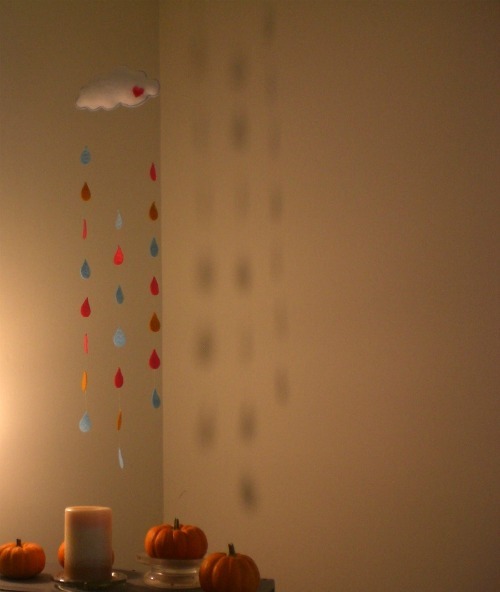 My felt raindrops are all attached with clear fishing line. 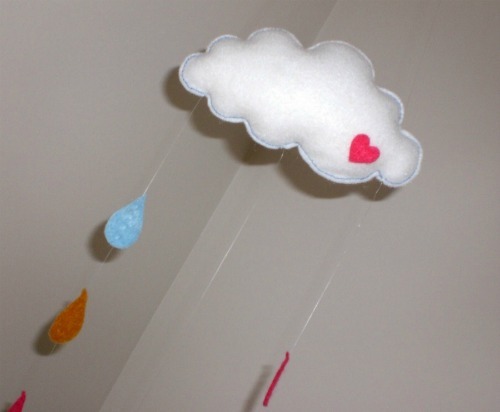 The raindrops of the inspiration mobile I found on Pinterest were actually sewn together in a line (with a sewing machine) . . which would be better, because then they would be immovable. I never know how to work with clear slick fishing line. Oh well! 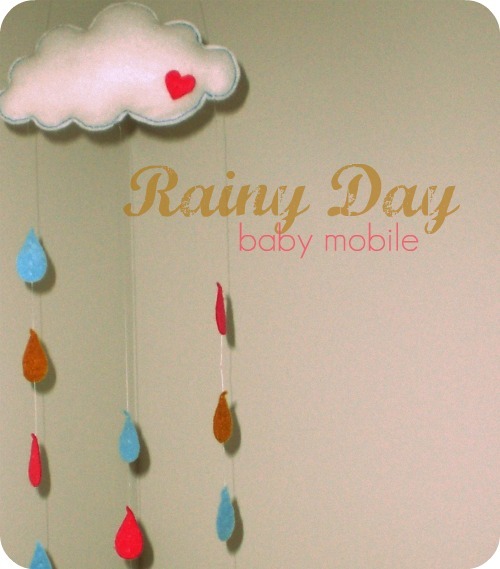 No, this mobile is not for a baby. . It's hanging in our living room to make me smile. I love the shadow it casts on the wall in the evening. I do like a romantic, cozy, rainy day. . .
Pom Pom Necklace. . and new boots!